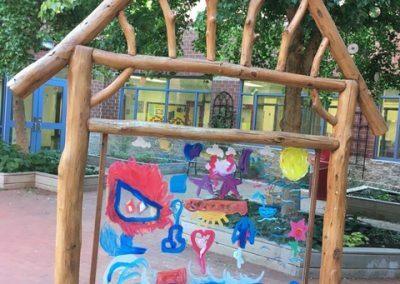 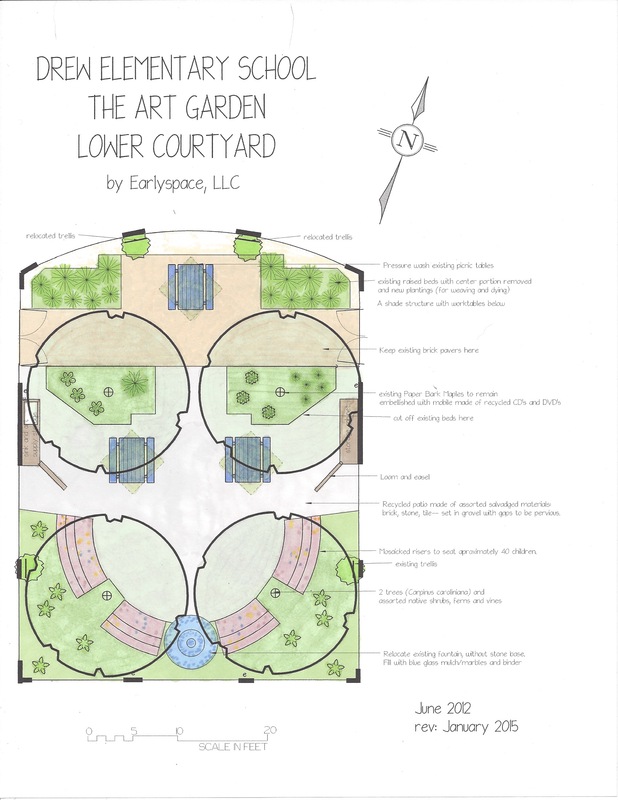 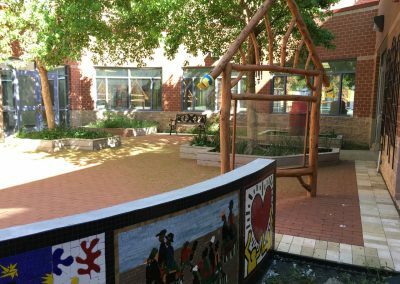 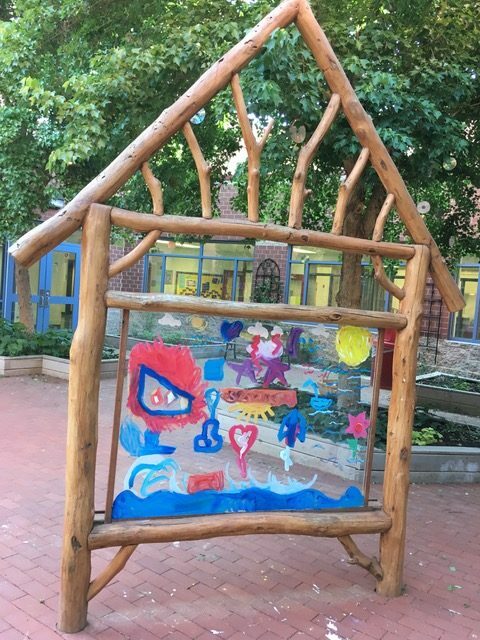 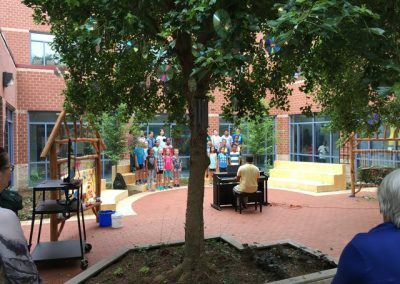 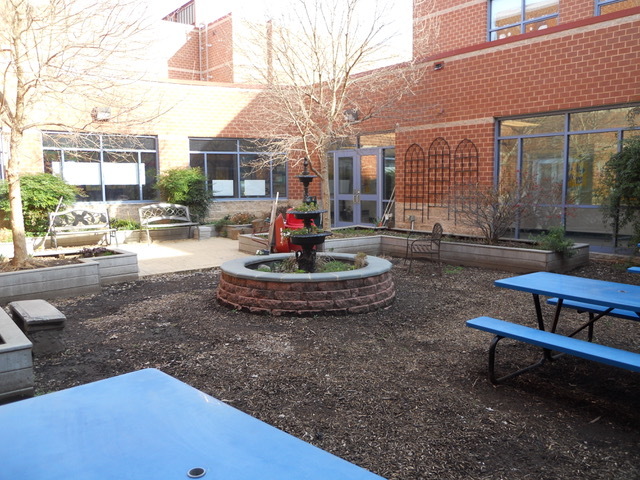 The Art Garden in this courtyard is a colorful space designed to support hands-on creativity in the fresh air and sunshine. 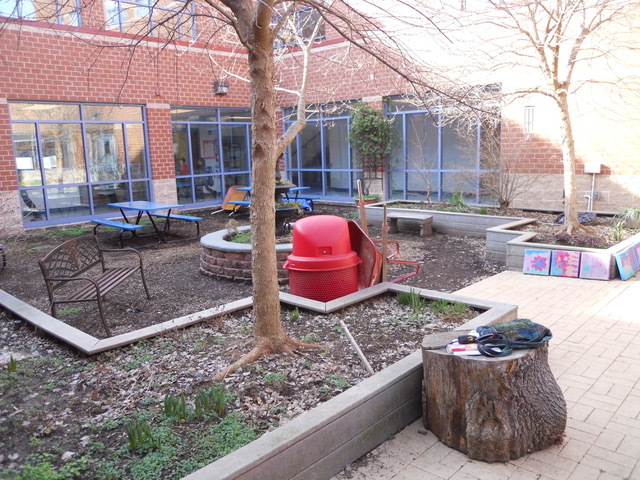 This is a space where loud, messy, exuberant art is welcome! 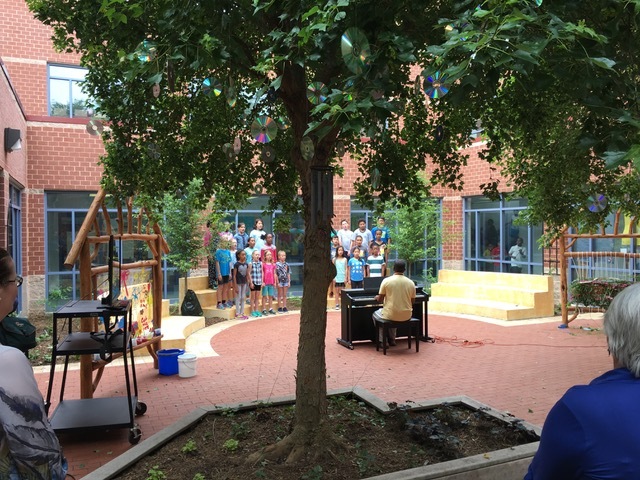 A set of risers can seat a group of 40 students around an open performance/teaching space. 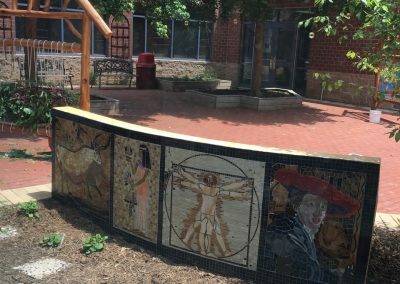 Mosaics depicting the history of art decorate the backs of the risers, starting with a cave painting and ending with Keith Haring’s two figures with heart. 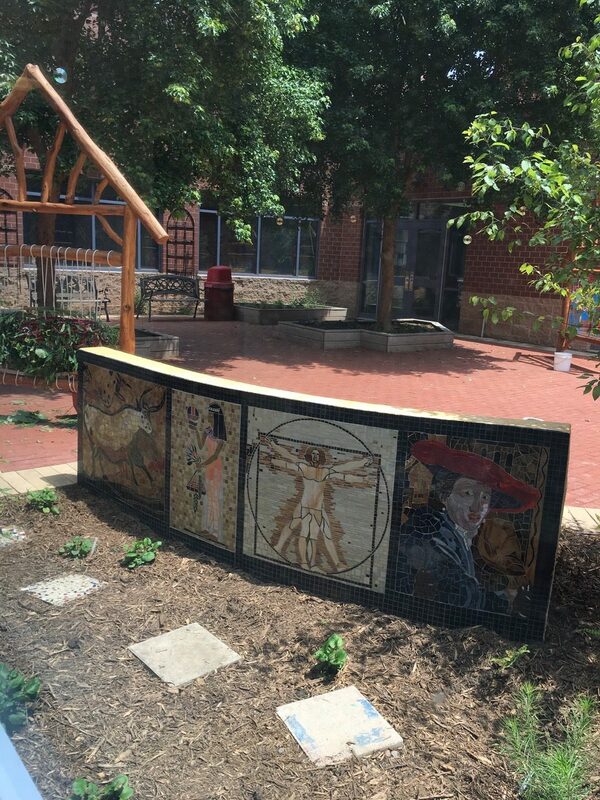 The mosaics face the art hall and connect indoor and outdoor art spaces. 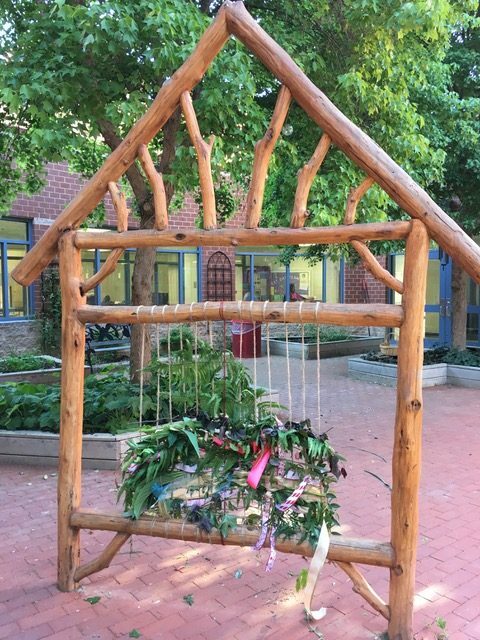 There is a rustic wooden Earth Loom for weaving natural materials and a transparent acrylic easel for painting, each large enough for a group to work together. 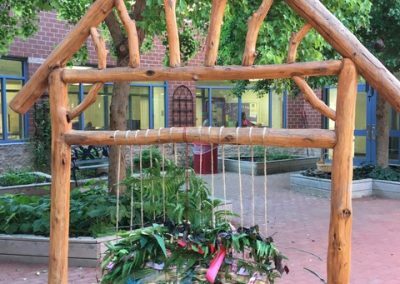 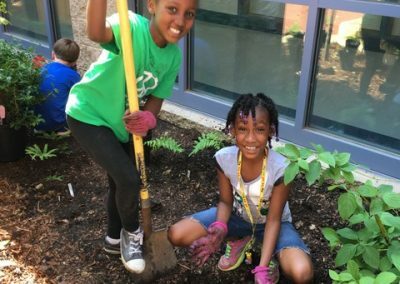 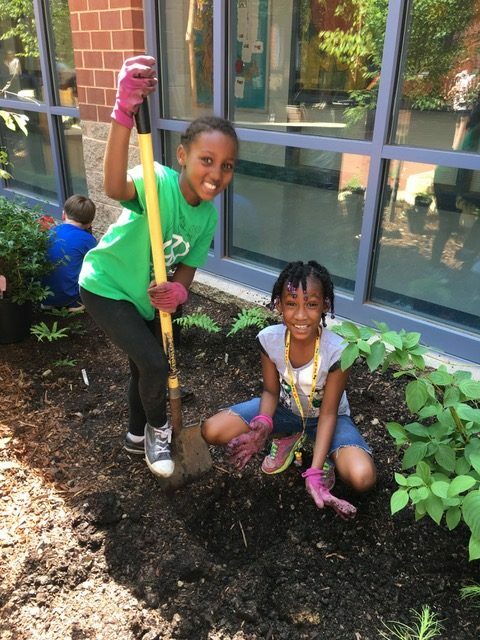 Sparkling CDs hang from two trees, and a variety of native plants, chosen for their four-seasons of color, texture and beauty are planted behind the risers and in raised beds. 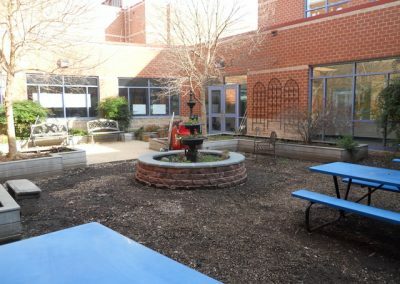 There are picnic tables where children can do art projects or eat their lunch outdoors, and storage cabinets for supplies.